Photographs of the new buildings and more…. Many of these photographs are of the new buildings in various stages. They are all painted white, and just waiting for the roofs to be added. The photo of the tiled area, is one of our small shower areas attached to the room. We only had 44 per room so tried to eeak them out, hence the simple design. The photo of the small cart was a donation we gave to Mambrooke Village women’s association for their market garden project. We also gave them seeds for planting. 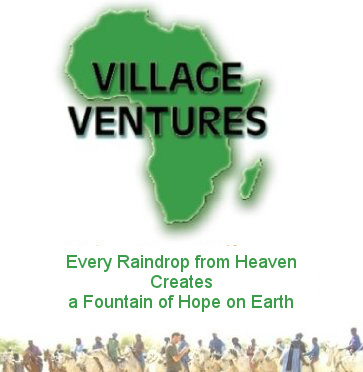 We are hoping this project will soon help change the lives of these poor villagers. Another photo is of some Fulani visitors. One young woman and her son came asking for water 2 weeks ago.. I gave them both to drink, and also found beads to give to the mother. She was so grateful that she returned with her friends to say thank you and bought me a gift of a guinea fowl. She hoped I would eat it, but its not easy for me to kill even a chicken. I was extremely grateful though for her kindness, I will try to keep the guinea fowl and breed from it. The tent is my mosquito netted protection from them. Detail of the new buildings. The new buildings almost finished. Shower cabin in one of the buildings.